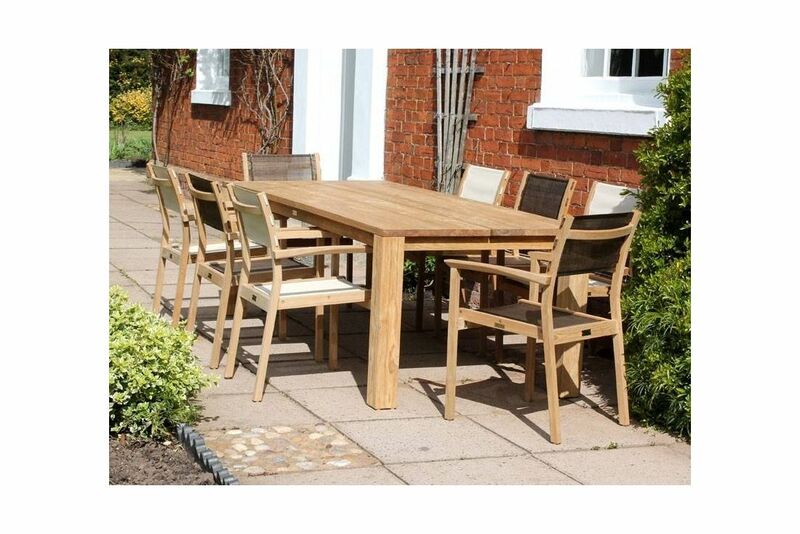 FSC Certified table has chunky legs with a solid and smoothly finished table top in two large sections with plenty of leg room underneath. Reinforced by teak dowels. This gives you the piece of mind that you’re buying a thing of quality that will last for years. The armchairs have lovely, angled backs and ergonomically shaped arms that offer maximum comfort throughout. The chairs also stack for easy discreet storage. The feet on all pieces are capped with toughened plastic to raise them off the floor slightly and protect them further. The openness of the weave is optimised for regular usage. These fabric can be cleaned in seconds with a light mix of soapy water. They have uniformly conserved tension reducing the likelihood of sagging over time. They’re died with very vibrant colours. Very strong and tear resistant. UV stabilisers are also added so it doesn’t fade over time. They dry quickly after rainfall and stay cool in summer. High tenacity polyester yarn with specific sheath formulation.